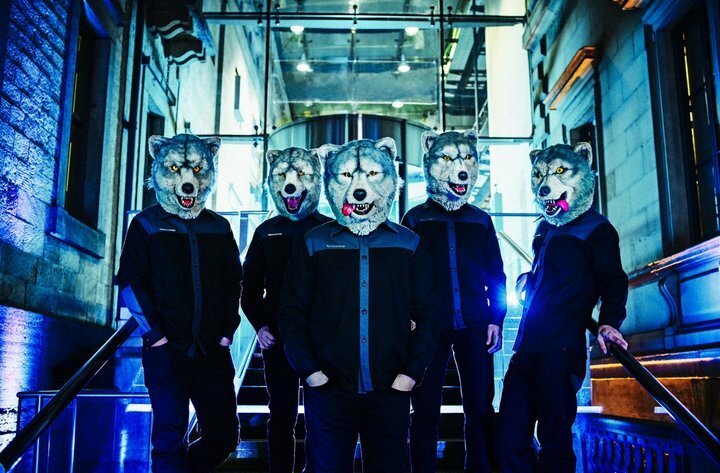 Man with a Mission, stylized as MAN WITH A MISSION or sometimes as MWAM is a Japanese rock band which was formed in Shibuya, Tokyo, Japan in 2010. This band currently consists five band members, with stage names of Tokyo Tanaka (vocals, leader), Jean-Ken Johnny (guitar, vocals, rap), Kamikaze Boy (bass guitar, backing vocals), DJ Santa Monica (DJ, sampling) and Spear Rib (drums). MWAM's music style has been described as hard rock and dance-pop. Their distinguishing feature is that all of the members wear differently designed wolf masks during both their concerts and their music videos. Many of their singles have been used as theme songs for a variety of anime, live-action movies, and video games.